In El Paso, Democrat Art Fierro won the special election to replace former state Rep. Joe Pickett, D-El Paso, who stepped down earlier this month because of health issues. And in Houston, Democrats Christina Morales and Melissa Noriega advanced to a runoff for the seat previously held by ex-state Rep. Carol Alvarado, D-Houston, who won a promotion to the state Senate last month. Fierro, the chairman of the El Paso Community College board, prevailed in a three-way race for House District 79, getting 53 percent of the vote. Fellow Democrat Michael Noe, a former member of the El Paso City Council, finished second with 27 percent, and Republican activist Hans Sassenfeld came in third with 20 percent. Fierro will finish Pickett's term, which goes until January 2021. 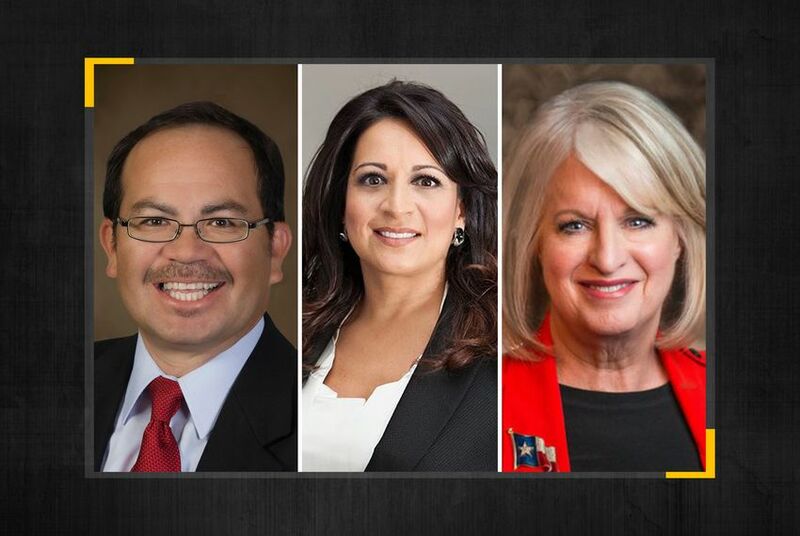 In the race to succeed Alvarado in House District 145, which featured eight candidates, Morales got 36 percent of the vote and Noriega 31 percent. Morales is the president and CEO of her family's namesake funeral home in Houston's East End. Noriega is a former Houston City Council member who temporarily held the HD-145 seat in 2005 while Rick Noriega, the incumbent and her husband at the time, served in the military overseas. In a statement, Texas Democratic Party Chairman Gilberto Hinojosa congratulated Morales and Noriega on advancing to a runoff and said they are "both uniquely qualified to represent the people of Houston in the Texas House." He also noted that both HD-145 and HD-79 "will remain in strong Democratic hands tonight." The sole Republican in the HD-145 contest, Martha Fierro, finished third with 25 percent of the vote. None of the remaining candidates — four other Democrats and a Libertarian — cleared 3 percent. In both special elections, all precincts were in Tuesday night. Returns were unofficial. Tuesday's special elections were not the last ones on the calendar. There will be another Feb. 12 to fill the seat of former state Rep. Justin Rodriguez, D-San Antonio, now a Bexar County commissioner. Early voting in that race began Monday.